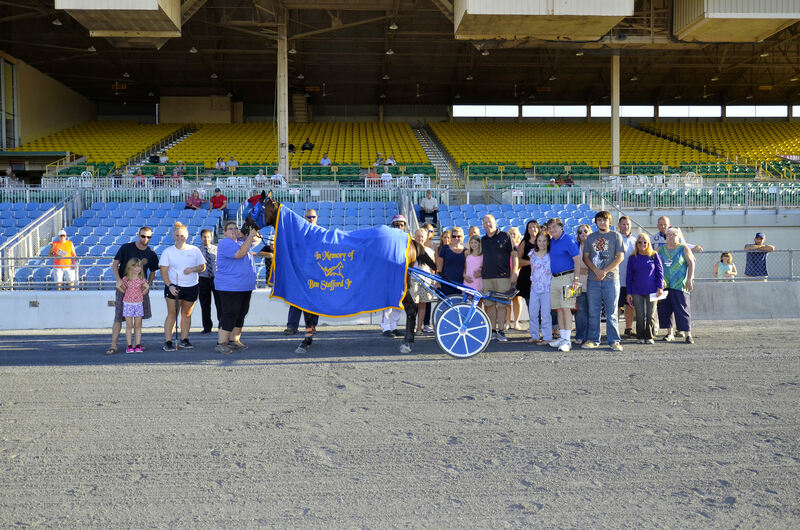 Harrington Raceway's culminated its 70th anniversary of live racing Thursday with closing night awards on the 13-race program. Richard Polluci's Nike Franco N ($4, Tim Tetrick) won her North American debut Tuesday with a 1:53 effort in the featured $17,700 Fillies and Mares Open at Harrington Raceway. 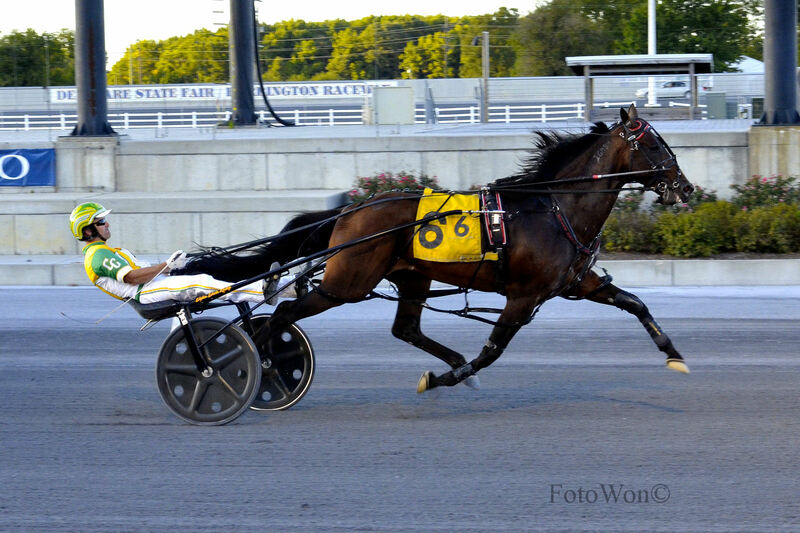 Joseph and Laurie Davino's Take My Picture ($7.80, Ross Wolfenden) won his third straight race Wednesday, in 1:56 in the $17,700 Open Trot at Harrington Raceway. More than $500,000 in total purses was at stake Wednesday night at Harrington Raceway as the Delaware Standardbred Breeders Fund (DSBF) $100,000 final events for 2-year-olds headlined the program. 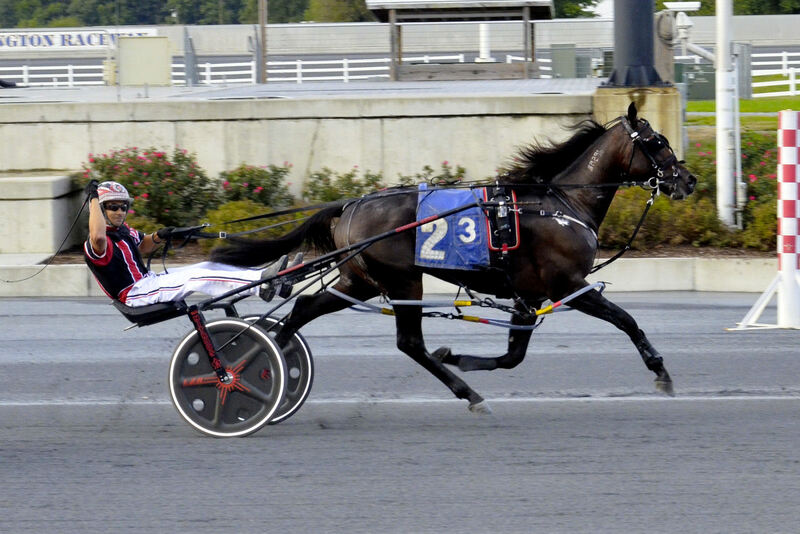 Trainer Leigh Raymer captured three of the $20,000 Delaware Standardbred Breeders Fund (DSBF) stakes for 2-year-old trotters at Harrington Raceway Wednesday. Driver Montrell Teague recorded his 1,000th lifetime win Tuesday aboard Henry The Dragon ($2.20) in one of four $20,000 DSBF divisions for 2-year-old pacing colts and geldings. Jo Ann Looney-King's Spanish Dream ($6, Victor Kirby) was the fastest of four $20,000 Delaware Standardbred Breeders Fund divisions for 2-year-old pacing fillies with a 1:54.4 triumph at Harrington Raceway Monday. 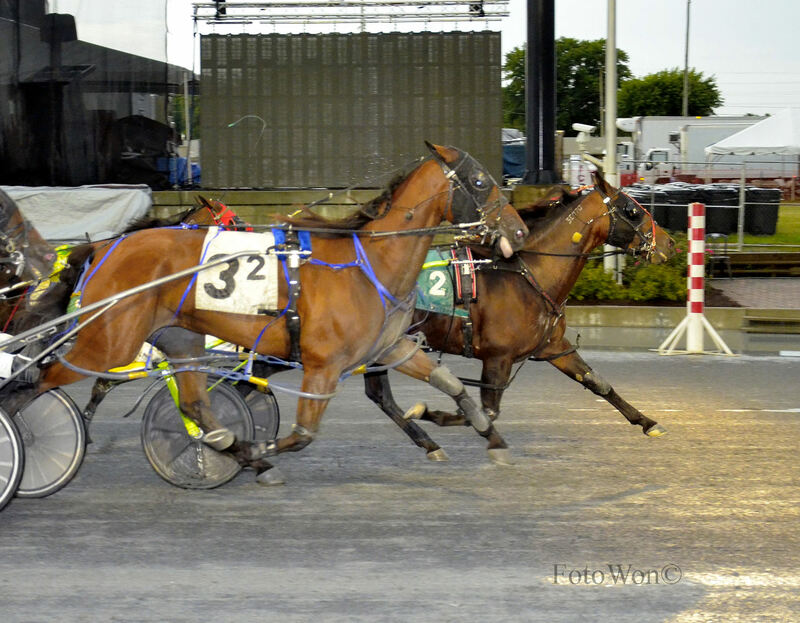 Four $20,000 DSBF divisions for 2-year-old trotters were in action in their first leg of eliminations. Four $20,000 divisions of the first leg of the Delaware Standardbred Breeders Fund (DSBF) stakes for 2-year-old pacing colts and geldings were contested Tuesday at Harrington Raceway. Wiggle It Jiggleit ($2.20, Montrell Teague) won the 10th Annual $150,000 Bobby Quillen Memorial Monday at Harrington Raceway in 1:50 over a sloppy racetrack. 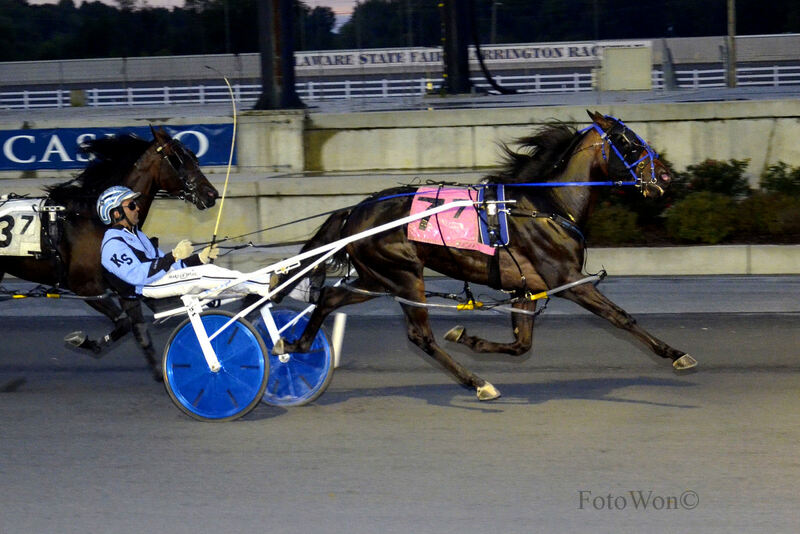 Frank Chick's Strong Hope ($10.20, Montrell Teague) was a 1:55 winner Wednesday at Harrington Raceway in the $15,000 featured race that was named for Childhood Cancer Awareness Month. Owner George Teague Jr. has been as far north as Quebec, Canada, and as far west as Indiana with 2015 Horse of the Year Wiggle It Jiggleit, but as rewarding as those trips have been, there’s no place like home. Howard Taylor's Shine N Shimmer ($5.40, George Dennis) notched her 34th career win Tuesday with a 1:52.3 win in the $15,000 Mares Open at Harrington Raceway. Robert Cooper Stables and J&T Silva Stables' Mel Mara (Corey Callahan, $2.20) had an auspicious Harrington Raceway debut in his prep for next week's (September 19) $150,000 Bobby Quillen Memorial with a 1:50.1 win in the featured $15,000 Open Monday. Montrell Teague will be heading to Ohio on a high note. 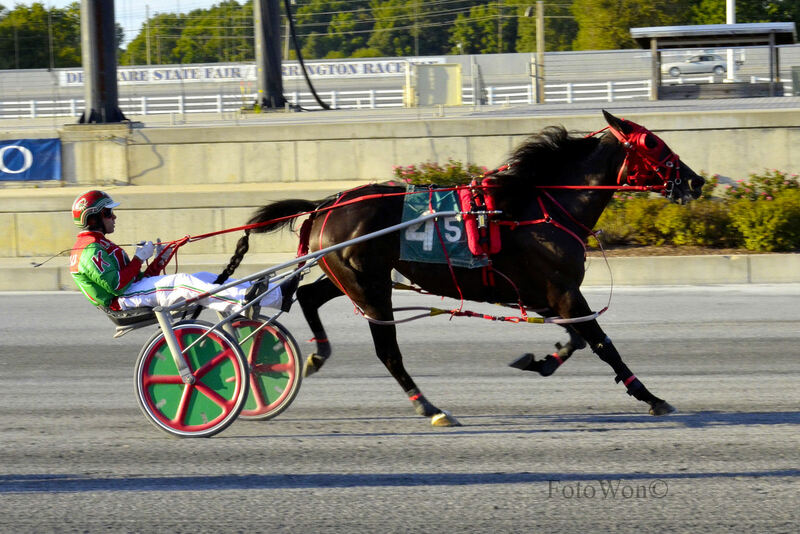 The 25-year-old pilot won four races on the Harrington Raceway program Thursday as he prepares to leave for Scioto Downs to drive reigning horse of the year Wiggle It JIggleit in the $225,000 Jim Ewart Memorial at Scioto Downs Saturday. 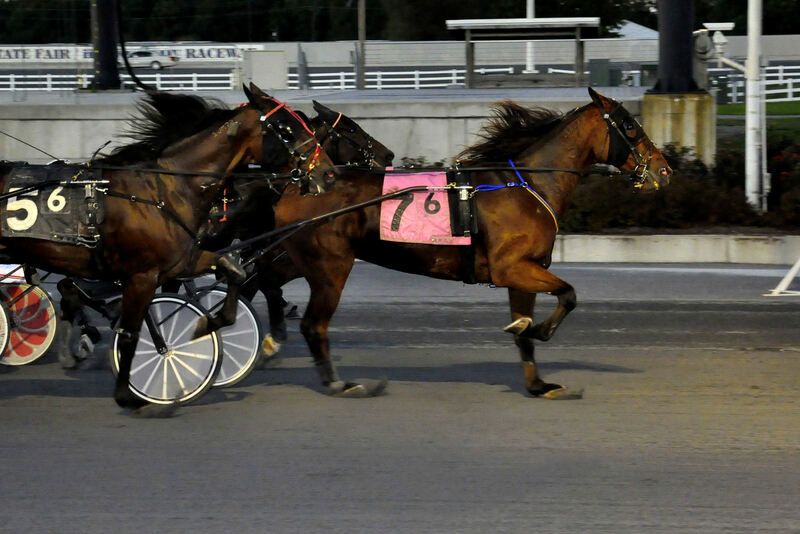 For the third straight night a driver won four races at Harrington. On Tuesday it was Victor Kirby, Jim Morand accomplished the feat on Wednesday and on Thursday Teague had the grand slam on the 11-race program. 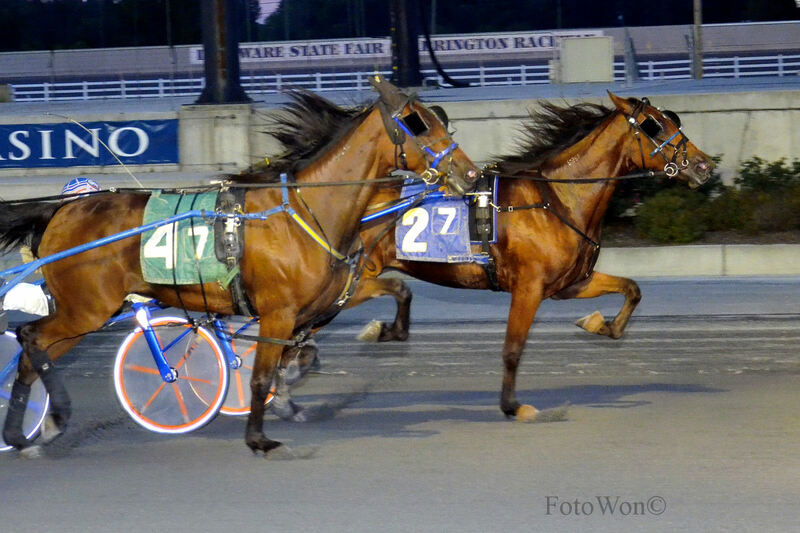 Venerable veteran trotter Take My Picture ($9.20, Ross Wolfenden) recorded his 33rd career win in the Open Trot Wednesday in 1:55.4 but the night belonged to Jim Morand who recorded four wins on the night. 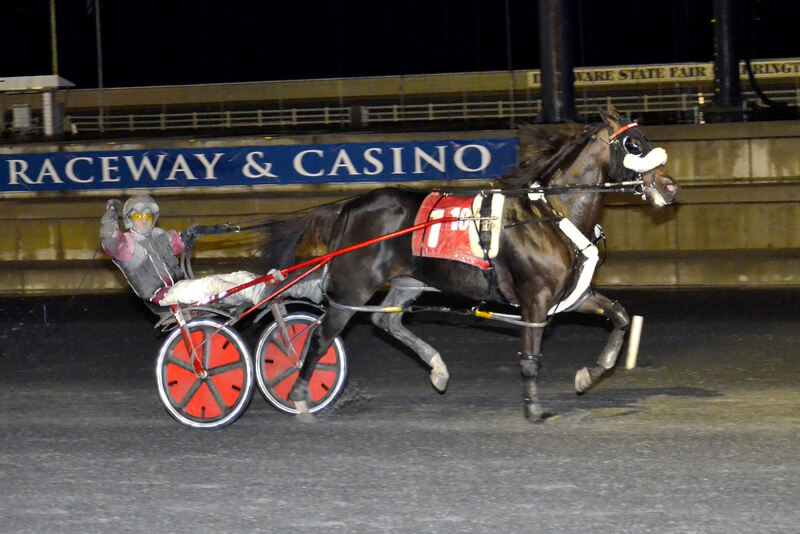 Louis Catana and Vincent Bradley's Matinee Dragon ($13.20) won the $11,000 feature and was one of four driving wins on the program for Victor Kirby Tuesday. Howard Taylor's Handsome Henry K ($13, George Dennis) won the $16,000 Open Pace feature on the Labor Day program at Harrington Raceway Monday. Richard Polluci's Maestro Blue Chip ($6.80, Victor Kirby) broke the Harrington Raceway 4-year-old trotting horse track record Wednesday with a 1:55.2 win in the featured $17,500 Open Trot. In an upset laden program, Gary Ewing's Sweet Bobbie ($40, Art Stafford Jr.) prevailed in the $16,000 Mares Open Tuesday at Harrington Raceway. 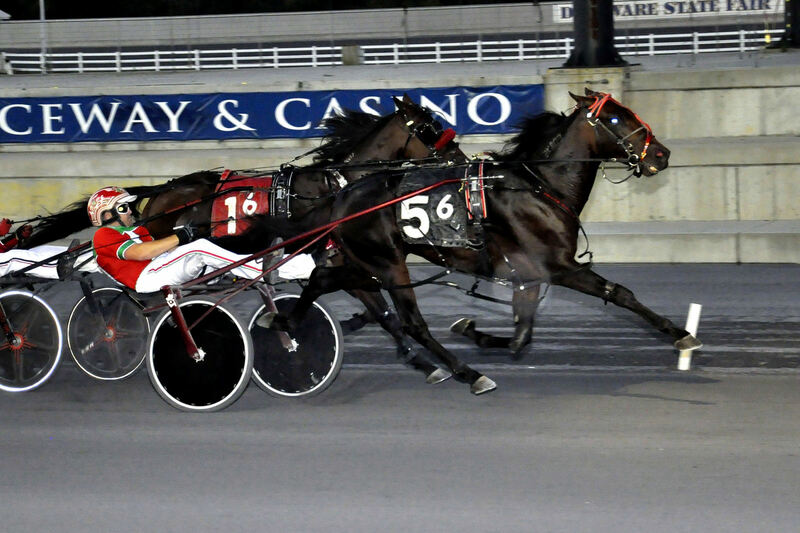 John Cancelliere's Special T Rocks ($8.40, Jim Morand) scored a 1:51 win Monday in the $16,000 Open Pace at Harrington Raceway. Joe and Laurie Davino's Take My Picture ($17, Ross Wolfenden) scored a 1:55.3 win in the featured $17,500 Open Handicap Trot Wednesday at Harrington Raceway. 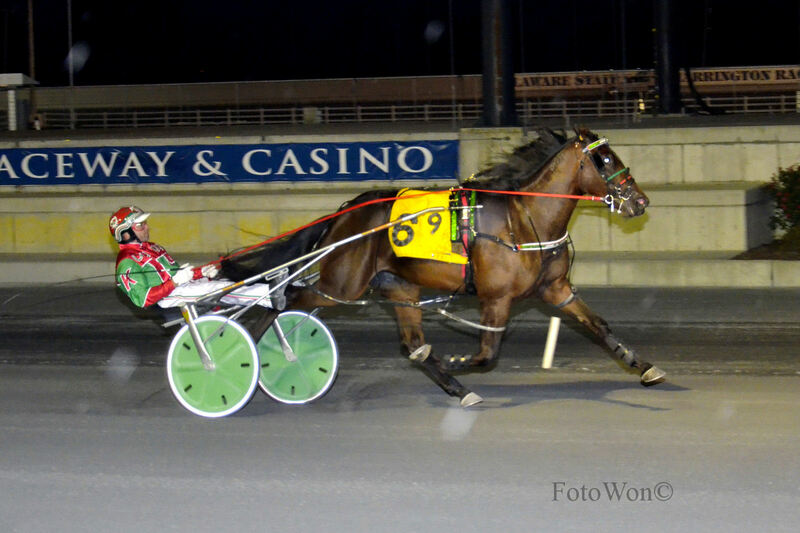 It was the 32nd career win for the veteran trotter, who has banked nearly $1.1 million lifetime. Howard Taylor's Shine N Shimmer ($4, George Dennis) won the featured $15,000 Fillies and Mares Open Tuesday at Harrington Raceway in 1:53.1. The race honored the memory of the late driver Ben Stafford Jr., who passed away on July 6. Stafford was a popular member of the local racing community and trained horses with his Dad for approximately 30 years. 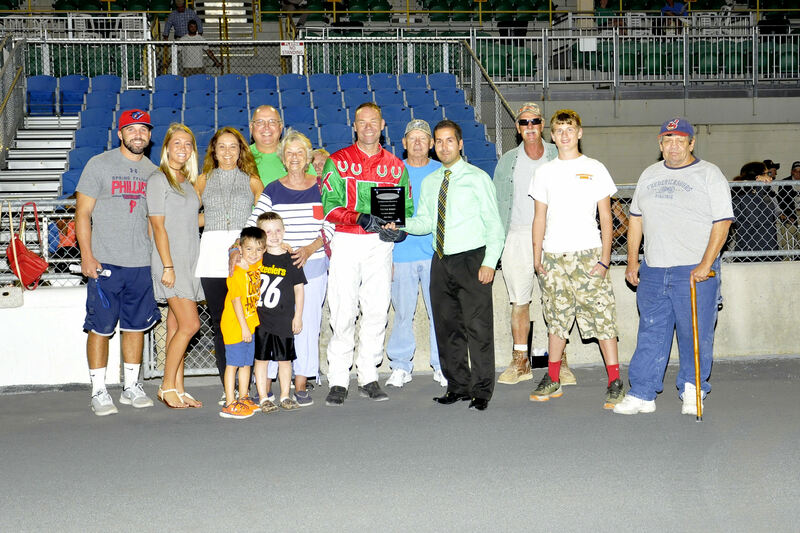 A large contingent of friends and family members were present in the winner's circle. 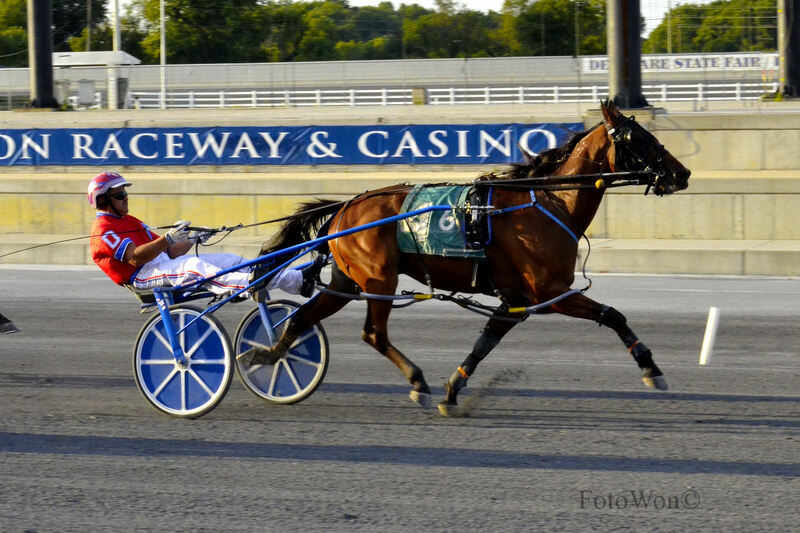 Howard Taylor, Robert Cooper, Abraham Basen and Thomas Lazzaro's Arque Hanover ($3, Jon Roberts) was a repeat winner Monday in the $17,500 Open Pace at Harrington Raceway in 1:52.4. 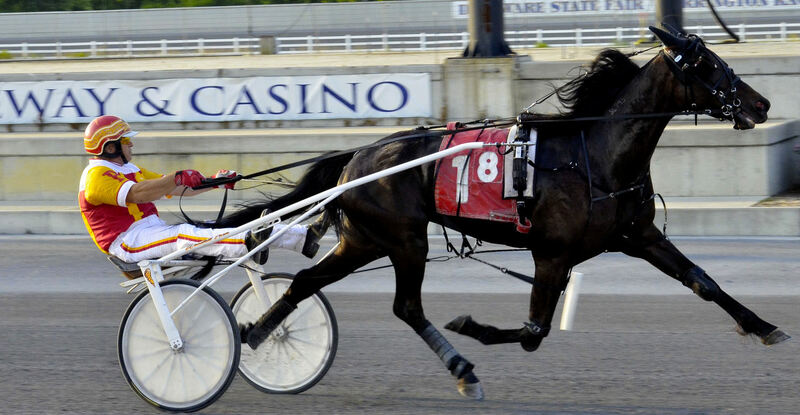 Michael Casalino Jr. and Dylan Davis' Theresademoninme (Jim Morand, $2.80) won his third straight race in the $15,000 Open trot Wednesday at Harrington Raceway. 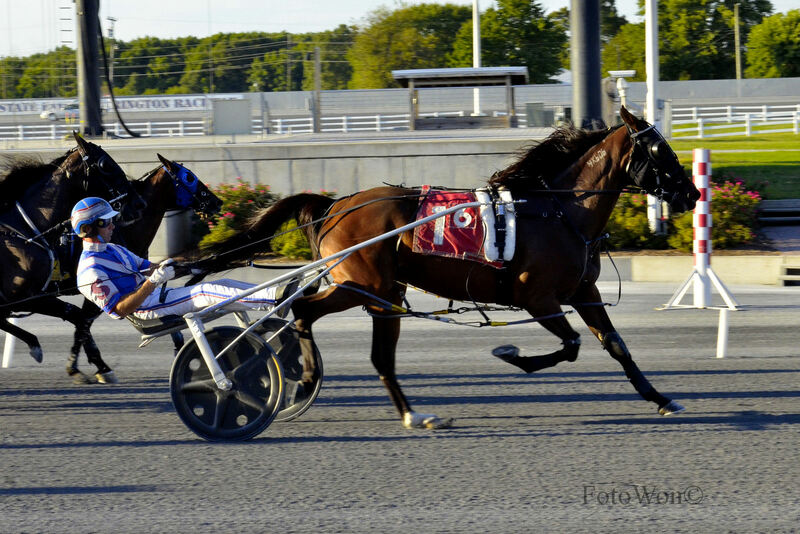 Howard Taylor, Robert Cooper Stables, Abraham Basen and Thomas Lazzaro's Arque Hanover ($2.40, Jon Roberts) had a successful local debut Monday with a 1:52.1 win in the $15,000 Open Pace at Harrington Raceway. Despite an early thunderstorm, racing fans were treated to a terrific night of racing Thursday at Harrington Raceway’s annual Governor’s Day program during the Delaware State Fair. 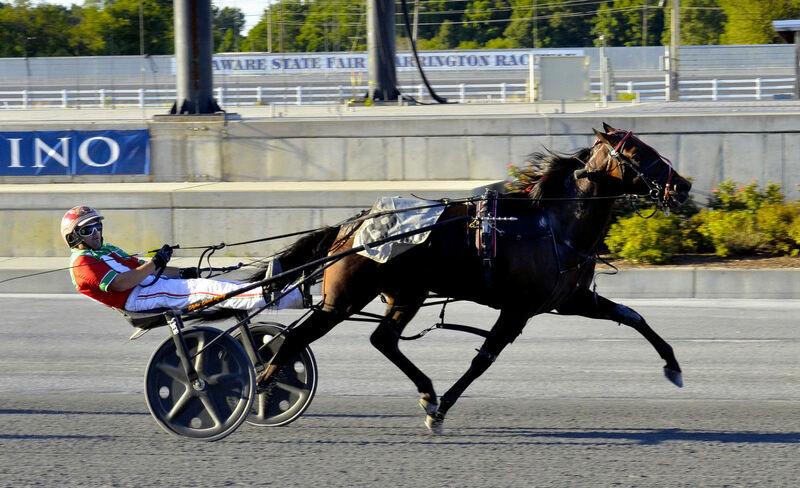 Nearly $600,000 in total purses will be at stake on Harrington Raceway’s richest program of the season Thursday, the annual Governor’s Day program at the Delaware State Fair. 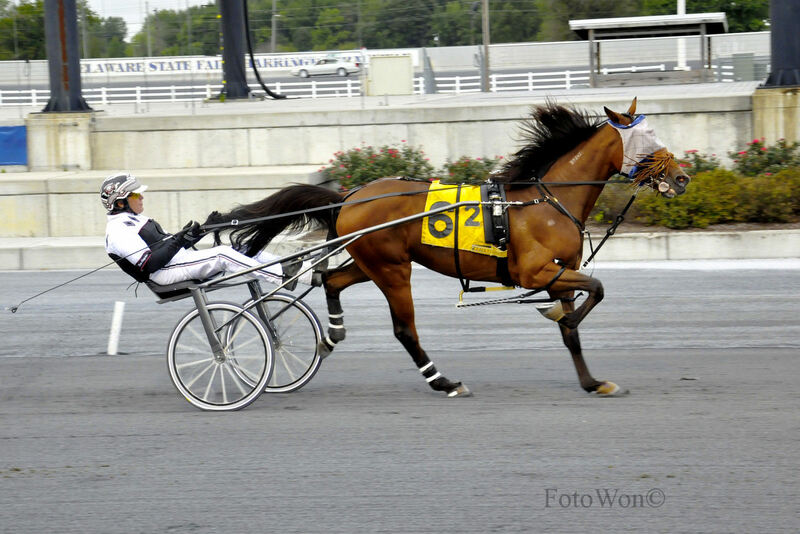 Post time is 7 p.m.
Live racing is currently dark until our annual Governors Day program on July 28 during the Delaware State Fair with a special 7 p.m. post time. Be sure to join us for a great night of racing with many of Delaware's top horses competing for approximately $600,000 in total purses. 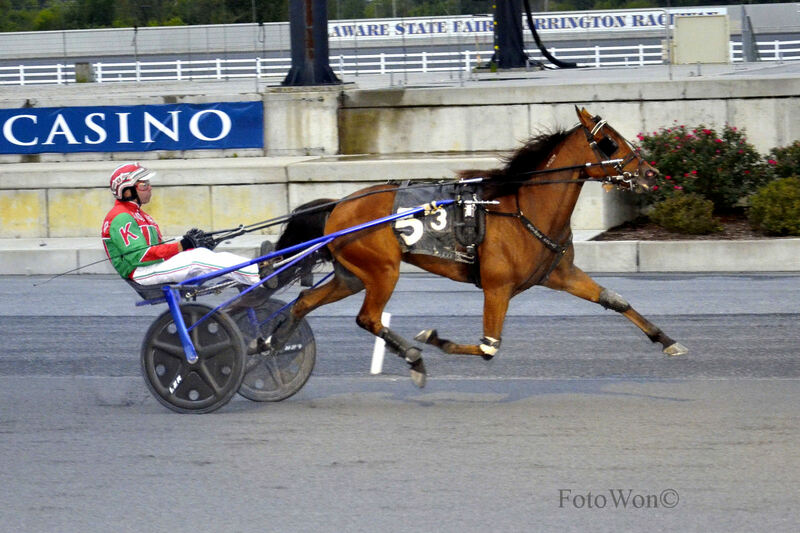 James Moore III's Royal Becca J ($6, Jack Parker Jr.) notched his eighth win of the year Wednesday at Harrington Raceway in 1:55.1 in the $16,000 Open Trot.